Licensed Nursing Assistants (LNAs) work closely with patients as they meet their personal needs, such as bathing, feeding, dressing, oral hygiene, skin care, and mobility. They work under the direction of a licensed practical nurse or registered nurse to monitor patients’ status, measure and record vital signs, document changes in the patient’s physical or emotional health, collect specimens, and assist with rehabilitative treatments. LNAs often spend the most time with patients and, therefore, have an important role in maintaining each patient’s safety and comfort. 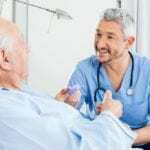 According to the U.S. Bureau of Labor Statistics, the growing aging population will require 5 million direct-care workers. This includes nursing aides, home health aides, and nurses. 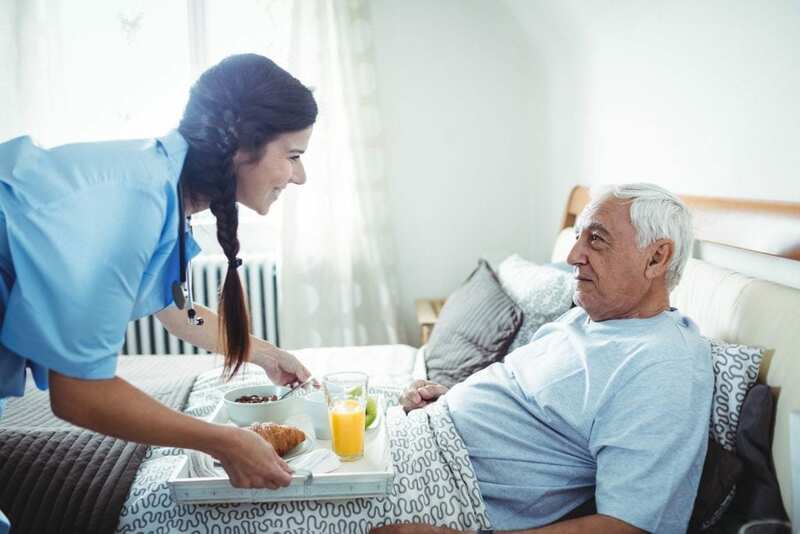 The shortage of nursing assistants and licensed nurses will impact senior care in personal homes, hospitals, and long-term care facilities at a time when there’s a distinct need for chronic medical care. Nursing homes, in particular, are experiencing vacancy rates of 9 percent and over. The shortage of providers will impact the quality of care and increase demands on existing workers who may be forced to work longer shifts or exceed the normal patient-provider ratio. The demand for providers means immediate employment for LNA graduates. Since the profession has high rates of occupational injuries, tedious work, inconsistent schedules, and low pay, many LNAs go on to study nursing to take a more active role in patient care. The nursing assistant program at Northwest Technical Center includes classroom theory and hands-on practice including a supervised clinical experience to prepare students for licensure and employment as a Licensed Nursing Assistant. NTC offers three scheduling options: Saturdays from 9:00 am to 3:30 pm; Sundays from 9:00 am to 3:30 pm, or Tuesdays and Thursdays from 4:00 pm to 8:00 pm. The Tuesday/Thursday schedule runs for 8 weeks. An accelerated option is available during the Summer semester. The curriculum covers 92 contact hours: 60 hours theory and 3 clinical hours. Course topics include nutrition, personal hygiene, bed making, patient rights, patients independence, safety procedures, law and ethics, the role of the nursing assistant, range of motion, communication techniques, infection control, vital signs, and much more. Tuition costs $1,150 and includes textbook, testing fee, and Nursing Board fee. The University of Vermont Medical Center offers comprehensive LNA training to anyone interested in becoming an LNA. The training and support encourage 93 percent of graduates to pursue a registered nurse license. Graduates are eligible to take the nurse aide competency exam to practice as a nurse assistant and provide direct patient care. The curriculum combines classroom, lab, and clinical practice in an acute medical/surgical environment. It covers a total of 172 hours of instruction in five weeks. Students gain the knowledge and skills need to apply for state licensure and provide competent care in any health care setting. Classes meet Monday through Friday for 4 to 8 hours – the schedule varies. In addition to classroom sessions, students participate in a clinical experience at the Medical Center Campus. Clinical shifts run from 7:00am to 3:30pm. All students must attend a mandatory 4-hour skills practice prior to taking the state licensing exam. Interested persons must apply for and obtain an LNA Trainee Position at the UVM Medical Center. Enrollment is limited to those accepted for the Trainee position. SKiltech prepares nursing assistant students to pass the state competency exam and obtain a license to practice as a Licensed Nursing Assistant. The curriculum includes classroom theory, hands-on lab practice, and a supervised clinical experience in a long-term care setting. It emphasizes safe and competent care and includes instruction in the role and responsibility of a nursing assistant, personal care, body mechanics, law and ethics, communications, safety and emergency procedures, range of motion, Alzheimer’s care, feeding and nutrition and much more. Students will participate in a clinical experience conducted at Green Mountain Nursing Home and supervised by a licensed nurse instructor. Classes meet Tuesdays and Thursdays from 6:00 pm to 9:00 pm. The program runs longer that most LNA programs as it provides extra support for adults who have been out of school for some time or those learning the English language. The approximate time for completion is 7 months. With the additional support provided, students will improve their communication, math and general study skills. The cost of attendance is $1,350. Additional costs include background check, Nursing Board fee, and testing fee. Payment of the tuition is due before the first day of class.